I ran my first coaching skills programme for leaders way back in 1992. At that time the concept of managers coaching was still new, the GROW Model for coaching was a bit ‘out there’ and I recall lively debates around whether or not coaching was a good thing. In the intervening years, coaching has become a flourishing industry and managers are expected to coach peers and bosses as well as team members. Sometimes, they’re even encouraged to coach themselves! But you know what? I think it’s time to ask whether we’ve all got a bit carried away with the idea of leaders coaching. 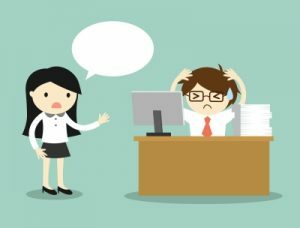 Sure, coaching can be powerful, but when one type of conversation gets a special label, it just becomes another task for managers to add to their already overcrowded to-do lists. Seeing it as a separate task can get in the way of managers having the good conversations they would otherwise have. Because they don’t have time to ‘coach’ someone, they don’t have any conversation at all. If we help leaders build these skills as part of their everyday leadership style — rather than as something they do when they want to coach — ironically we create leaders who are naturally skilled coaches. When leaders adopt these behaviours in their day-to-day approach to communicating with the people they lead, they achieve the benefits of coaching without having to set aside time specially to coach. And on top of that, they become far better at having a myriad of other conversations — they become better at influencing and negotiating, they become better at handling difficult conversations, they become better at talking about performance and giving feedback. In short, they become better leaders. That’s why, in my experience, helping leaders to focus on adopting these good communication behaviours, rather than developing their coaching skills specifically, brings more impactful results. In my June webinar I explored this subject further – you can check out the recording here.